MILA Tours to Latin America specializes in designing tour programs to Latin America for individuals, family groups, other small groups, colleges and universities, museums, professional and cultural associations, and medical groups. We work with the traveler's interests and needs to optimize their daily cultural experiences. Some of the Cultural and Natural Wonders included in our tours are (but not limited to) the colonial cities throughout Latin America, Inca and Mayan archaeological sites, a train ride through the Copper Canyon in Mexico, touring Iguassu Falls overlapping three countries, cooking classes in Ecuador, dancing the Tango in Buenos Aires, shopping the native markets from Guatemala to Peru, learning the Samba in Rio de Janeiro, and visiting museums in cities from Mexico City to Ushuaia at the southern tip of Argentina. Adventure travel requests include (but not limited to) hiking the Inca Trail to Machu Picchu, snorkeling in the Galapagos Islands, trekking in Patagonia, scuba diving and cave tubing in Belize, surfing and fishing in Costa Rica, skiing in Chile, and exploring the Amazon River. MILA Tours to Latin America is also active in volunteer travel with Cross Cultural Solutions and the Yantalo Foundation which has built a green medical clinic in the Peruvian Amazon. MILA was founded in 1981 by Dr. Luis Vasquez, a Peruvian cardiologist working for one of the major pharmaceutical firms in Illinois who traveled throughout Latin America on business and then began organizing international meetings in South America. His medical meetings emphasized interaction with local medical personnel and respect and attention to the culture of each country visited. Over time and through word of mouth this led to other groups and individuals asking for this type of personal travel and the business was begun. The company evolved to a well known name in Latin American travel. 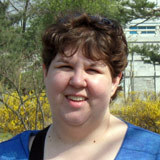 In 2010, the tour company was taken over by Sarah Erskine, a long time employee. Dr. Vasquez is now full time with the Yantalo Foundation and has successfully opened the first Global Health Campus in rural Peru. 20+ years in the business with a passion for Latin American culture beginning with an experience as an exchange student in Oaxaca, Mexico at the age of 16. 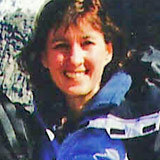 Sarah went on to study Spanish and Latin American studies in college and then began a career in travel with MILA Tours in 1992. Sarah has traveled extensively in Latin America. Her favorite destination is Ecuador!